The average life expectancy of Indians is higher now than it used to be. According to NITI Aayog's data compilation for the 2010-14 period, the life expectancy of Indians is at 67.9 years, which means that after you stop working, you will have many years to live without a regular income. When you get older, your expenses towards healthcare will also be higher, and not to forget the impact of inflation on your day to day needs. With prior planning, you can be prepared for unforeseen circumstances in your retirement years. For this, you have to make your savings and assets that you have accumulated over the years work for you. 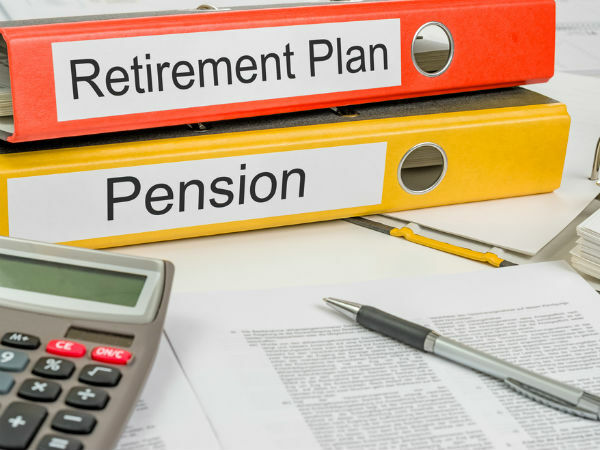 Government schemes to invest before retirement National Pension Scheme (NPS): With NPS, a subscriber can make a regular contribution towards the scheme during his working years. The investments are market-linked, where the subscriber can choose active option (choose your own investment options) or auto option (fund allotment made to different assets based on age). On retirement, the subscriber can withdraw a part of the corpus in lumpsum use the rest to buy an annuity that will fetch regular income. Note that the scheme is partially taxable. Public Provident Fund (PPF): PPF allows you a long tenure of locked in funds to make small savings throughout your working years. With an initial lock-in period of 15 years, you can extend the period by 5 years at the current rate of 7.6 percent. The best part about PPF is that there are no tax implications on investments made or maturity amount. National Savings Certificate (NSC): NSC has a maturity period of 5 years, with an interest rate that is currently the same as PPF at 7.6 percent. You can make regular small deposits in it, to form a corpus that you can reinvest in another scheme on maturity. The investment towards it is tax exempt up to the extent allowed under section 80C but fully taxable on maturity. Other investments options before retirement: You can opt for pension plans from insurers and mutual fund houses. There are mutual fund plans that come with a minimum lock-in period of 3 years and have capital gain taxes applicable to them. Post office or bank fixed deposits with a lock-in period of 5 years or more can also be a good option when you get surplus income from any capital gain that exceeds limits of government schemes and you can set aside for retirement use. You should, however, note that the these are taxable on maturity and earn lesser interest than from government schemes. Government schemes to invest post retirement Pradhan Mantri Vaya Vandana Yojana: Implemented through LIC, this scheme allows a maximum investment limit of Rs 15 lakh to provide social security to people in their old age from fall in interest income due to uncertain market conditions. It provides an assured 8 percent interest rate p.a for 10 years. Use it to park a major portion of your accumulated wealth to use in later years. Senior Citizen Savings Schemes: These are five year fixed deposits schemes that provide 8.30 percent interest rate at present. The scheme provides investors with a monthly income option that will vary based on the extent of investment made. The higher your deposit, the higher your monthly income. It is, however, taxable on maturity. Reverse mortgage: If you have a house and are over 60 years of age, you can mortgage your house to the bank for monthly payouts. It is the opposite of a home loan. The tenure and eligibility will depend on your age and preference. If you choose a longer tenure, the payout amounts will be smaller and vice versa. You can continue living in the house even after the tenure is complete and on your demise, your legal heirs can repurchase the house by paying the loan with interest or the bank can sell the house to pay the remaining due to the heirs. Systematic Withdrawal Plans: This mutual fund schemes allow investors to withdraw a fixed or variable amount either annually, semi-annually, quarterly or monthly. This will allow you to earn a regular income while you can park the rest of your assets in a long-term high-interest rate instrument for use in later years.